oday, Apple debuted an Apple Watch that sports some of the most significant changes to the lineup since it was first introduced. The Apple Watch was officially named the Series 4 during the September 12th event. The Apple Watch Series 4 represents the biggest set of changes to the company’s flagship wearable since it first launched. While the design is fairly similar to previous Apple Watch models, the S4 manages to pack up to 35 percent larger display into a similar form factor thanks to slimmed-down bezels. However, as some rumors did suggest previously, a circular Apple Watch model was not released this year. It is still speculated that Apple may release this design sometime in the future. A handful of other changes and improvements to Apple’s wearable platform were also introduced. 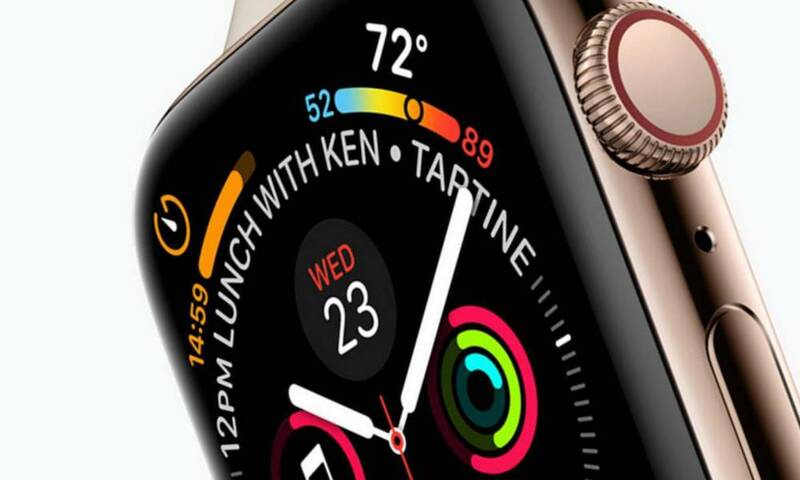 The Apple Watch Series 4 features a larger display that allows for a new watch face that can fit up to eight complications at once. On the chassis of the wearable, there’s a new Digital Crown that’s outlined in red (rather than being entirely red) as well a completely redesigned speaker system which is now 50% louder and heavily reduces echo. Apple introduced solid-state buttons to the Apple Watch platform, which were applied to the Digital Crown and the Side button. They feature a phantom haptic feedback like the Home button on the iPhone 7 and 8. By way of a slimmer design and smaller internal components, Apple also fit a larger battery into the Apple Watch Series 4. With this, the battery life of the Series 4 has been significantly improved as compared to previous models. The S4 will also sport enhanced sleep and health tracking features. Apple recently acquired a sleep tracking firm to support these features. A low-power mode that allows for all-night sleep tracking was also released. Apple has also been working on expanded health sensors, which now appear on the new Apple Watch. These include an ECG system, low heart rate monitoring system and a hearty rhythm system which can scan for AFIB. Like previous Apple Watch models, the Series 4 is available in a wide range of case materials and color options. Similar to last year, the aluminum case models will come in Gold, Space Gray and Silver variants. Echoing the iPhone lineup, the stainless steel Apple Watch Series 4 is available in a new gold finish — a first for stainless steel case options. The stainless steel option will also be available in a black finish. The new Apple Watch Series 4 models have been officially released today September 12, at the “Gather Round” event. The new devices will become available for preorder on Friday, Sept. 14. Shipping to customers will begin shortly afterwards and the devices will hit store shelves the following Friday, Sept. 21. The Apple Watch Series 4 will start at a $399 for the non-cellular GPS model, and the cellular-model will start at $499. There will be, of course, a wider range of price points depending on the specific model, case material, and band type that you choose. The Apple Watch Series 4 will be available directly from Apple, either at brick-and-mortar Apple Store locations or online. 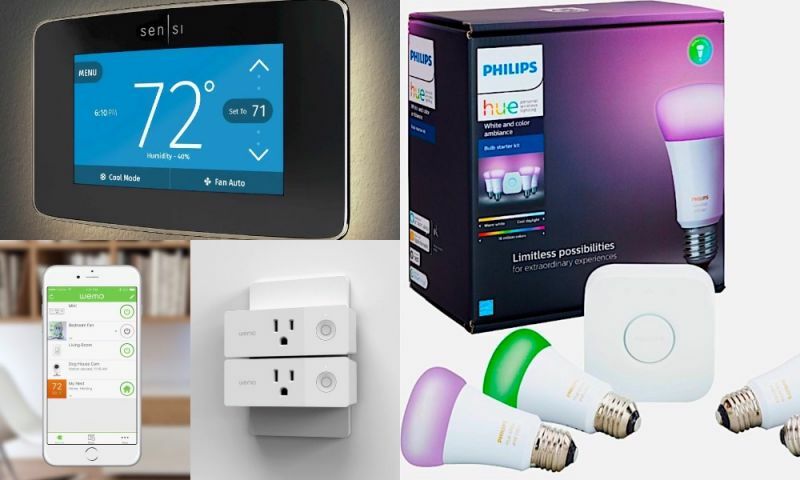 It’ll also be available through various carriers and third-party retailers, including exclusive retail partners such as Kohl’s. Read Next: What Benefits Will Dual-SIM Tech Bring to iPhone Buyers?